Whatever size and type of property you own, chances are high there are plants living there that you would rather not be. Some weeds are simply unsightly, while others can stop you enjoying the outdoors altogether. Many weeds are prominent hay fever contributors and others can make walking around barefoot hazardous. If you are trying to grow vegetables the last thing you want is pesky weeds stealing all of your sunlight and precious soil fertility. In this article, we will discuss some common weeds, simple ways to treat them and some which are more complex. The warm moist conditions of Brisbane make it an easy place for weeds to take root, grow and spread quickly. Among the species most commonly thought of as weeds are couch, bindis, broadleaf and clovers. There are literally hundreds of different kinds of weeds in Queensland and the state government has a resource available for identifying them online. It is important to realise some weeds are more of a problem than others. In a lot of cases, the kinds of weeds that appropriate a particular location are actually integral to organically improving or repairing the soil microbiome. Big leafy weeds will spring up in exposed soils to provide shade, and weeds with burrowing roots will adore hard soils and help to channel nutrients down and stop soil erosion. For this reason, depending on the type of weed and the desired use of the land, sometimes the best weed management is to let them grow but it is important to make sure they are not troublesome invasive species. On a large-scale basis, the spraying of herbicide is the most cost-effective means of treating weeds. It is significantly faster than pulling by hand and almost as effective. Depending upon the problem, there are different kinds of herbicides that can be applied, some are more specific than others and others are less toxic. 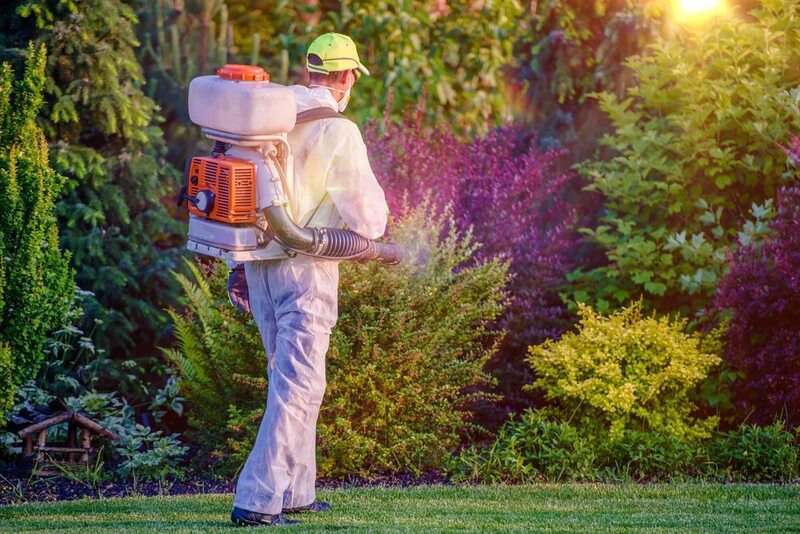 We specialise in weed spraying throughout the greater Brisbane area. Whatever your weed problem, we can eradicate it for you. We know how important it is to allow the plants you adore to do well. We can also offer a resilience treatment to improve water retention for large open and vacant lots that would otherwise be unmanageable during the summer months. You can call us on 0421 533 002 for an obligation free quote. Alternatively, contact us through the website. In addition to weed control, we offer a full complement of pest management solutions.